The ship has now arrived in Leith, unfortunately without sufficient eta/AIS info, or perhaps simply too late on Friday night, for me to have got along to see her. (There are some pictures on Britannia’s FB page). 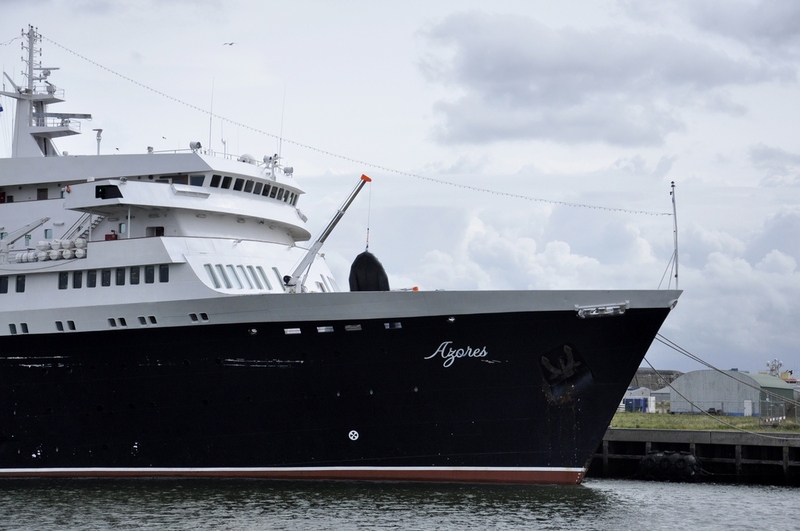 waiting for the ''serenissima'' at IJmuiden the ''Azores ''was moored at the cruise terminal at IJmuiden. yes i know the color issn't good,but when it is black ,you don't see anything of her hull. 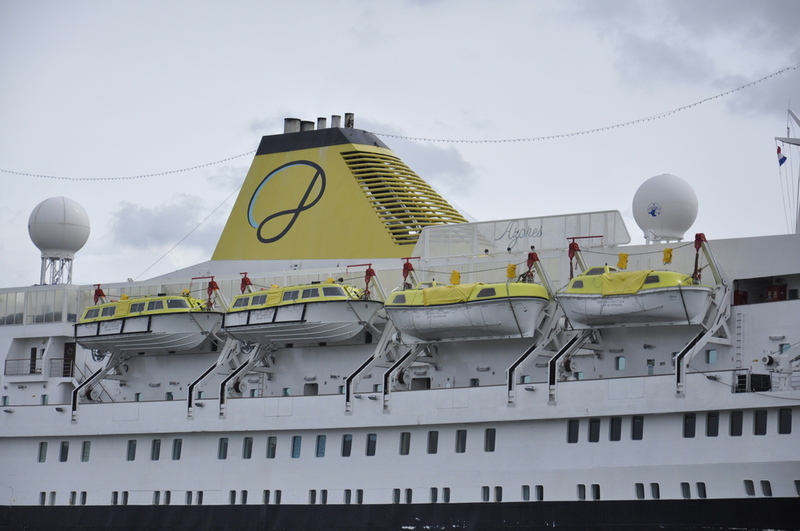 Oh Thijs, another cruise ship photo triumph from you! 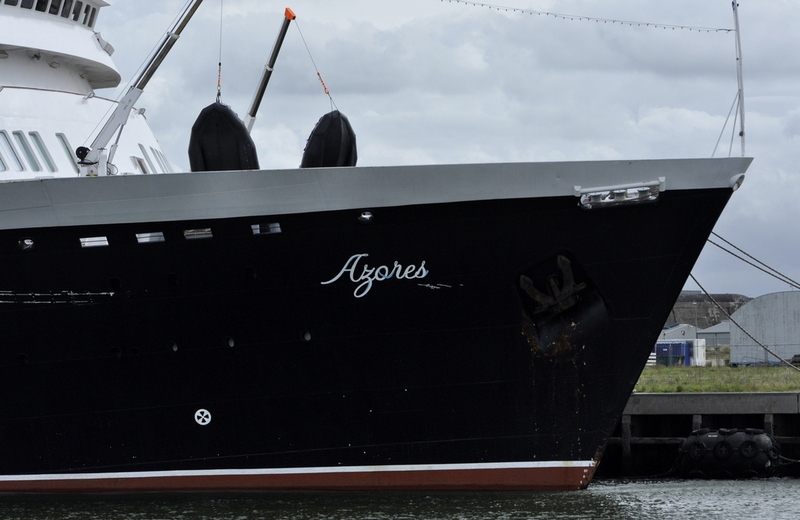 Azores is of particular interest as she is replacing Discovery next year. As you should see shortly in the Scottish Waters cruise thread, I couldn’t get anywhere close to her here because she docked at Rosyth, rather than Queensferry or Leith. yes i have seen these,but i don't mind about the construction works on the bridge. only a empty image with just 1 vessel is so clinic,al the things around makeing it more alive. 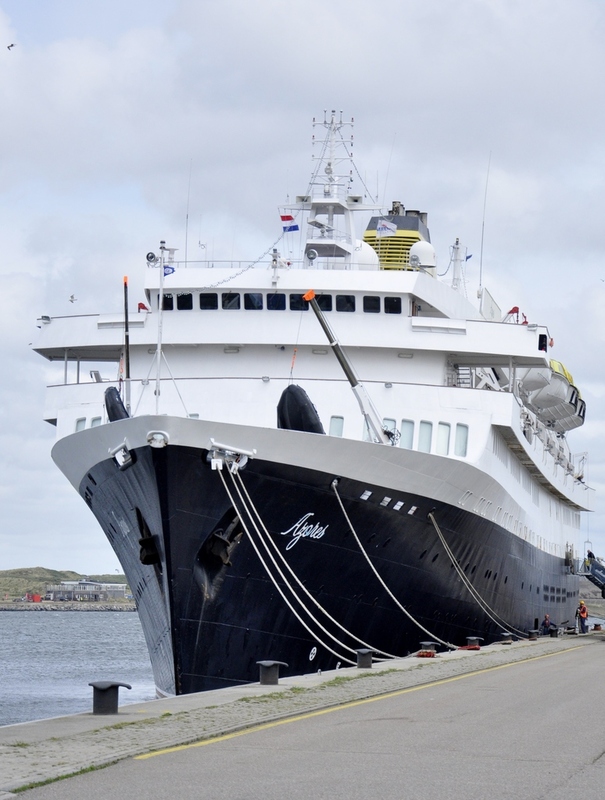 this place is just since 1 or 2 year,the made a new cruise terminal there in IJmuiden. better? yes as long it will take. the quay where i make the side images was open now,because of that the gate was dismolised,and coultend close. we it is repaired it will be closed. Absolutely agree. 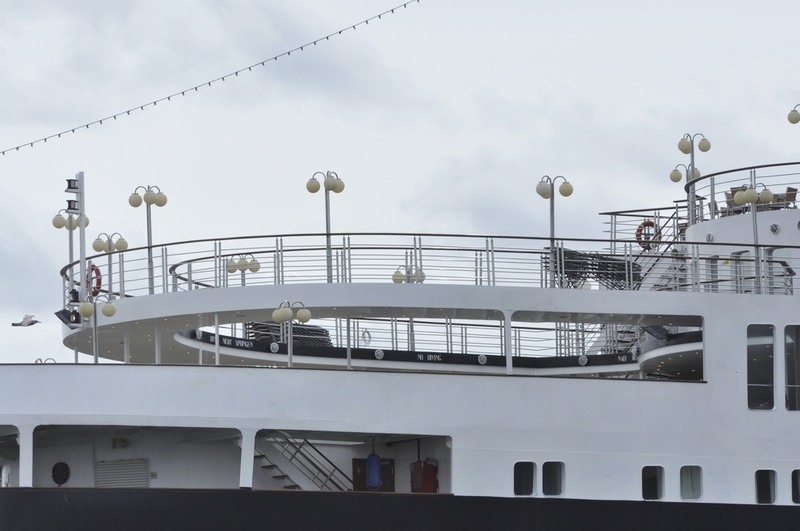 It is exciting and such a pleasure to see the surroundings, and experience the same ship at different ports. It's nice to have some places where one can take detail photos from though, so I hope such places will remain reachable at Ijmuiden. 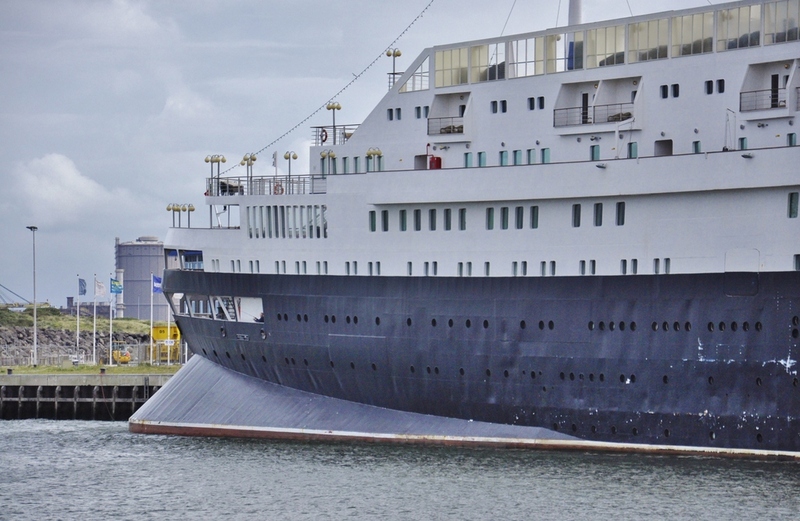 How much, if anything, is left of the original STOCKHOLM (now AZORES) which sank ANDREA DORIA in 1956 ? I particularly like the image #112 nr. 2. We don't see lines like this no more, the view gives a majestic look. Thanks Thijs!! I tend to agree with you in one way, whereas in another..., a ship should stand alone in a frame. Personally I enjoy very much to incorporate a ship into surroundings..., and on the other hand, I agree with Thijs from another comment, to post ships and boats under the correct thread. My reason to post cruiseships, mostly, in the Kristiansund thread is that I incorporate so much of the city (usually), and I much rather want to promote Kristiansund than just show pictures of the ship in the ships, or type ship thread. I hope we all enjoy it in here, we few who still find it interesting. The maiden voyage of Stockholm was at 21.02.1948 from Göteborg to New York. 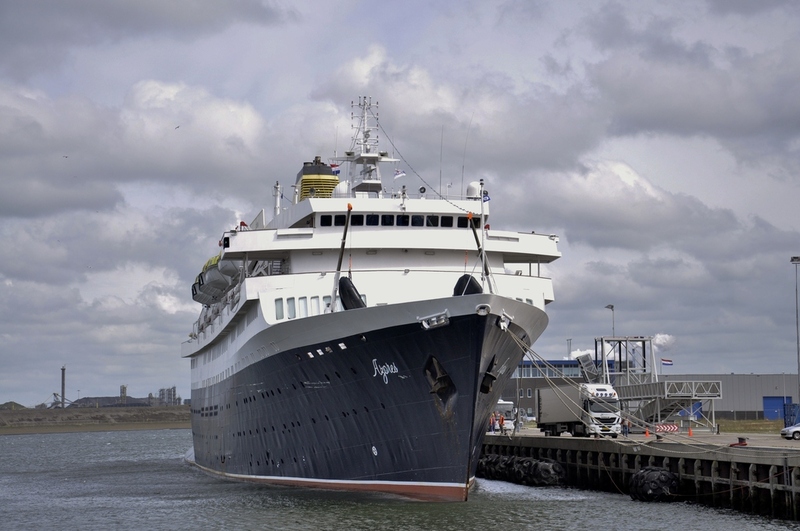 1952 she was refurbished and had afterwards 12.644 BRT and capacity for 86 1st class passengers and 584 tourist class pax. 1955/56 the cargo hatch III was overbuilt with the cinema hall and the cargo room III at each deck was used for other purposes. At 25.07.1956 she left New York and collided in the fog shortly before midnight near Nantucket with the liner Andrea Doria. She returned to New York and received a complete new foreship. 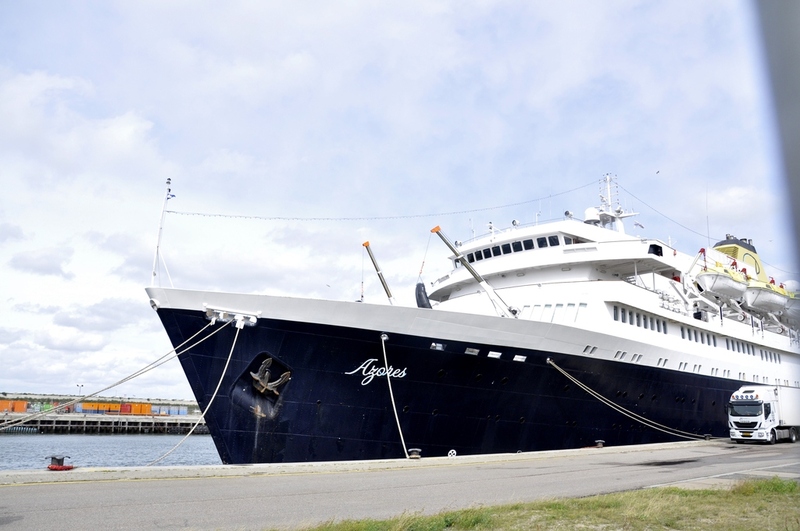 At 03.01.1960 the ship was bought by the GDR and named Völkerfreundschaft. 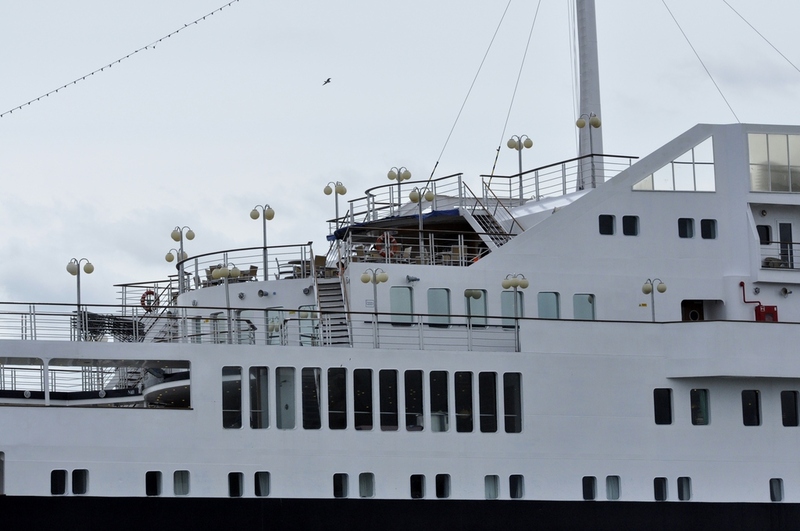 It became a one-class-ship with 586 pax and 12.442 BRT and was used for own cruises and charters. 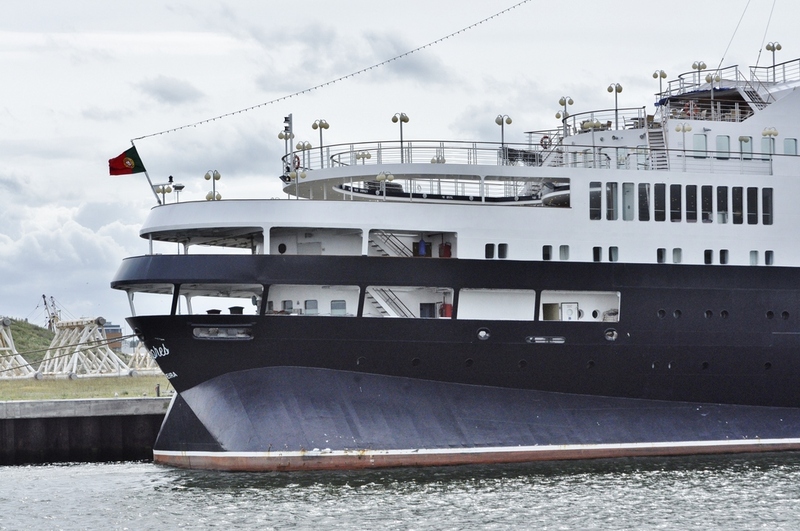 1985 she was sold to Neptunus Rex Enterprise, named Volker and anchored in the Oslofjord. In September 1985 she was moved to Southampton. At 20.12.1986 she was named Fridtjof Nansen and used in Oslo as accomodation for asylum seekers. In May 1989 she was sold to Star Lauro SpA and towed to Genoa. 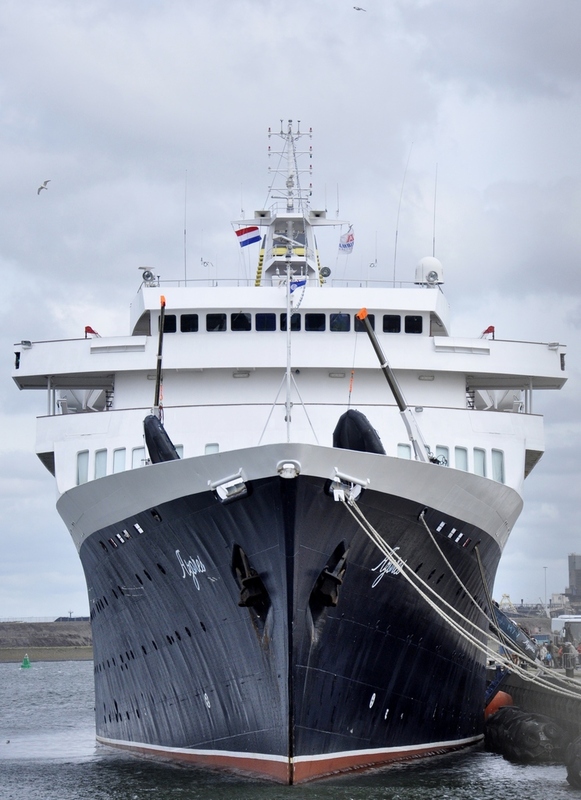 From 1992 on she was refurbished to a modern cruise liner under management of the Italian architect Beppe de Iorio. After this there was only a part of the extra stabile hull left. 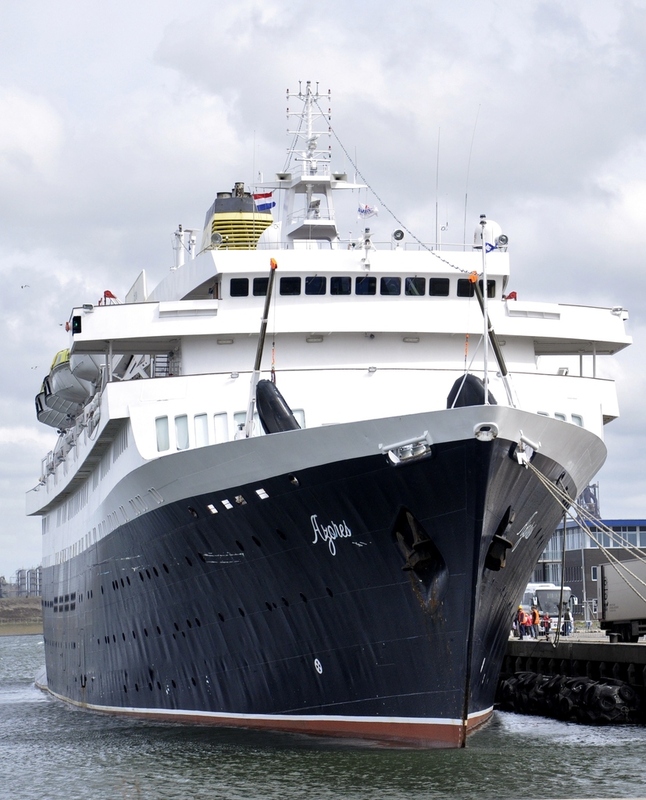 From 1995 she was as ship of the company NINA Spa. in duty for several charterers, for example Neckermann Seereisen. From 1999 she was sailing around Cuba as Valtur Prima. 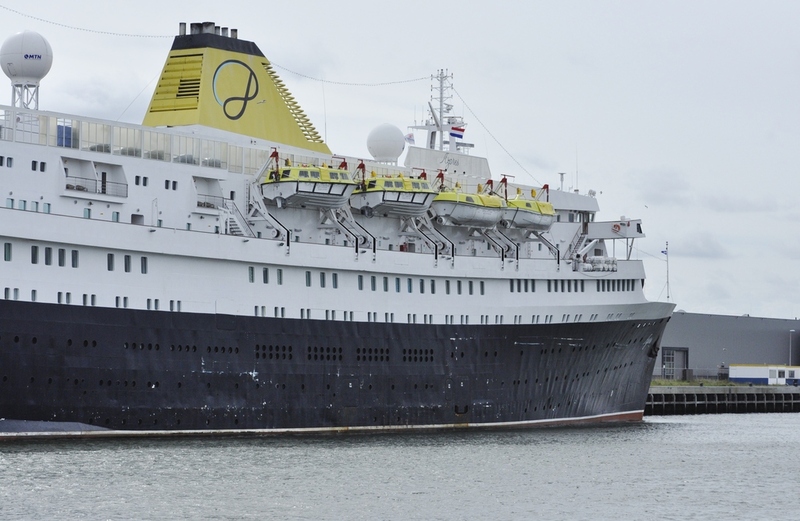 2004 the ship owner George P. Potamianos bought her for his company CIC and renamed her Athena after a big refurbishment. From 2007 she was in duty for the German travel agency Vivamare Urlaubsreisen, which went bankrupt. 2009 she did a short job for Phoenix Reisen. Because of missing money she was chained in September 2012 in Marseille. 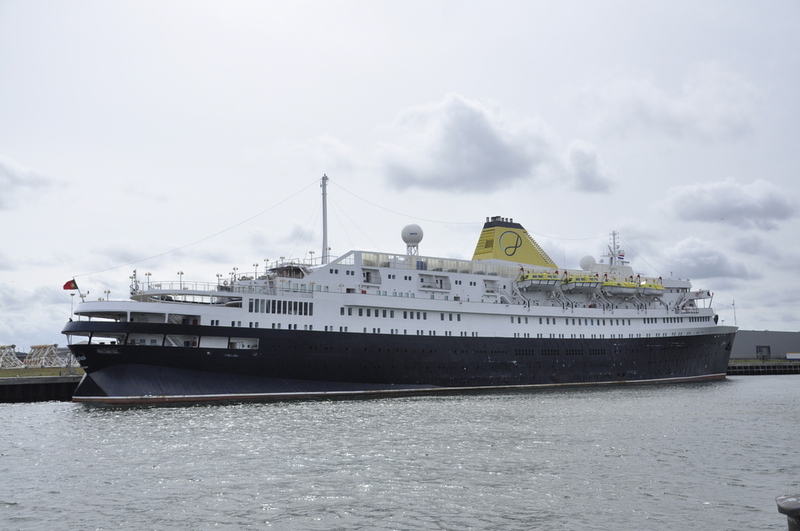 In May 2013 the ship was bought by the new founded company Portuscale Cruises and renamed in Azores. 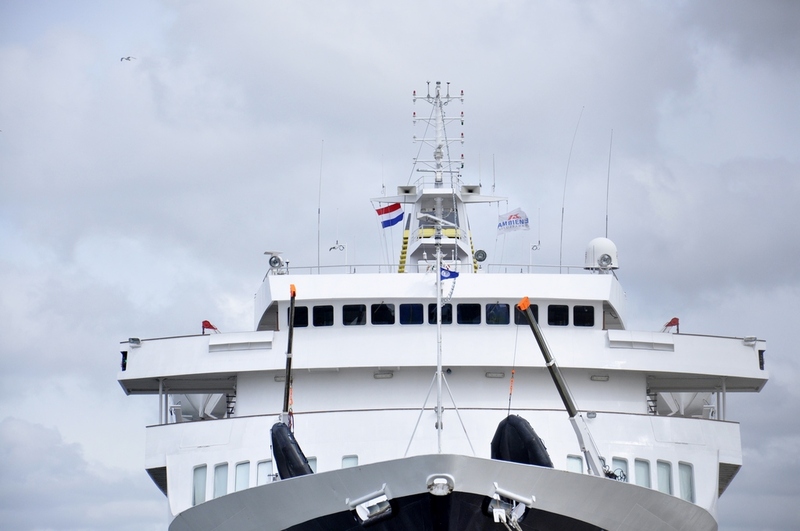 Since March 2014 she is in duty for Ambiente Kreuzfahrten in European waters. 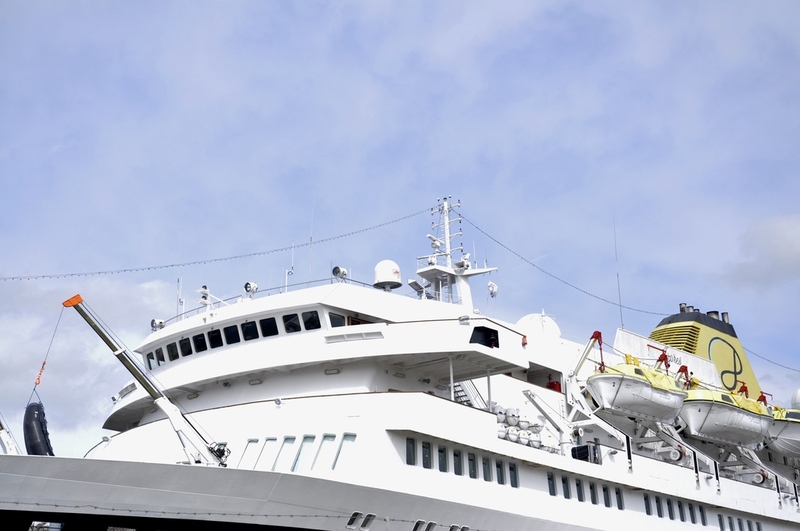 The cooperation between Ambiente Kreuzfahrten and Portuscale Cruises will be cancelled at 5. September 2014 because of too low passenger numbers. 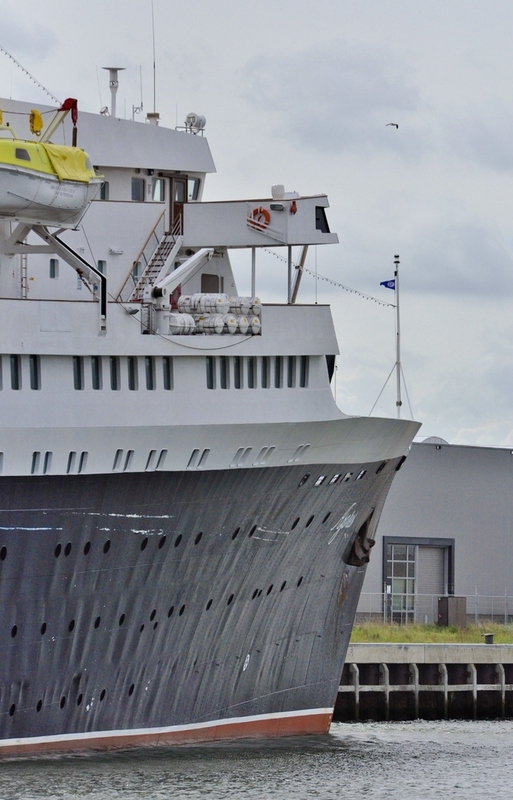 From 2015 the ship will be chartered by Cruise & Maritime Voyages and replace the Discovery. In my opinion it is just the part of the hull which is showing the classic line. The rest was destroyed in 1992. All times are GMT+1. This page was generated at 13:00.